An affecting human drama of love, loss, and resilience unfolds against the backdrop of World War I. 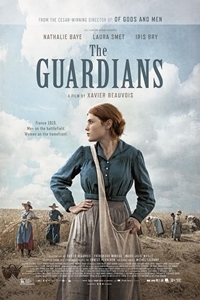 The women of the Paridier farm, under the deft hand of Hortense, the family's matriarch (Nathalie Baye,) must grapple with the workload while the men, including two sons, are off at the front. Hortense reluctantly brings on an outsider, the hard-scrabble teenage orphan, Francine (Iris Bry), to help her daughter Solange (Laura Smet). New tools allow the women to triumph over the land, newfound independence is acquired, yet emotions are stirred especially when the men return from the front on short leaves.